Photographer David Hobby uploaded a set of photos on flickr (now removed) that were taken with a new Fujifilm X100T camera. 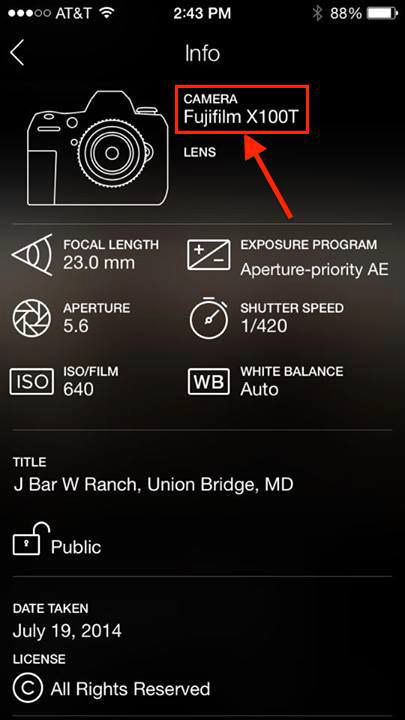 From the exif image above, we can see Fujifilm X100T will also have a 23mm prime lens. This camera will probably announced around Photokina 2014 in September. 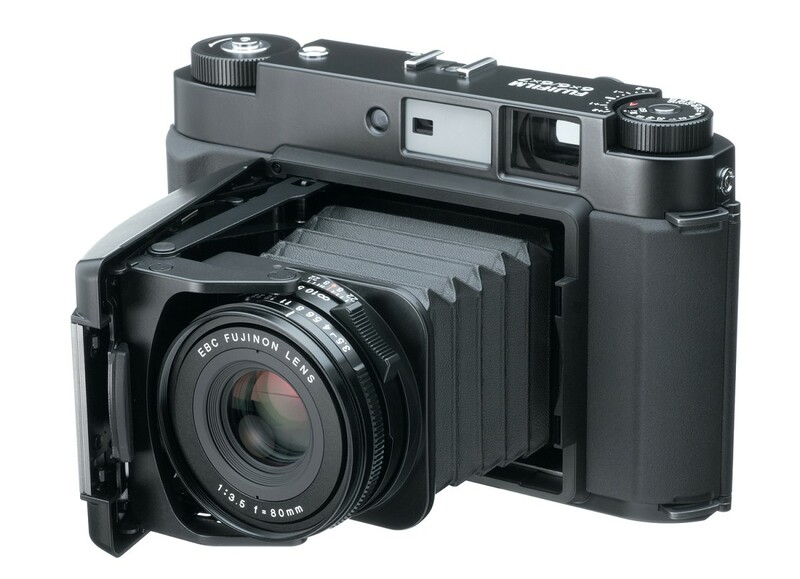 The upcoming Fujifilm X-Pro2 will be announced around Photokina 2014, according to the latest rumors. 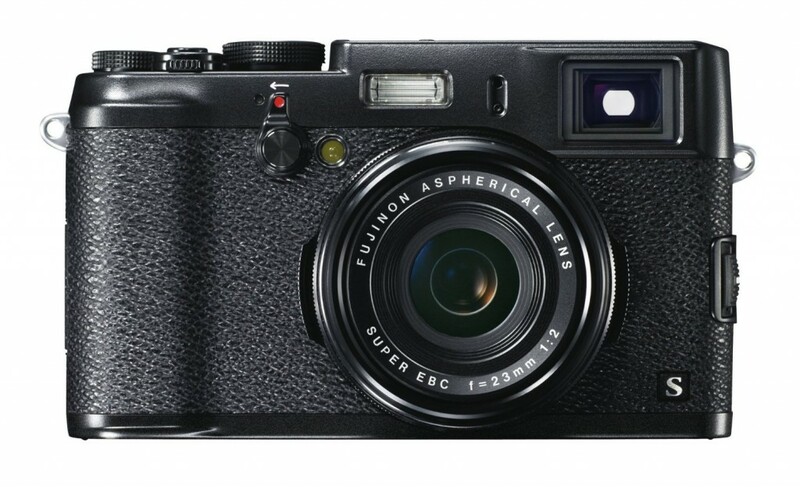 Fuji X-Pro2 will stay APS-C sensor, the new sensor will have 24MP Resolution, and will featured built-in Wi-Fi. 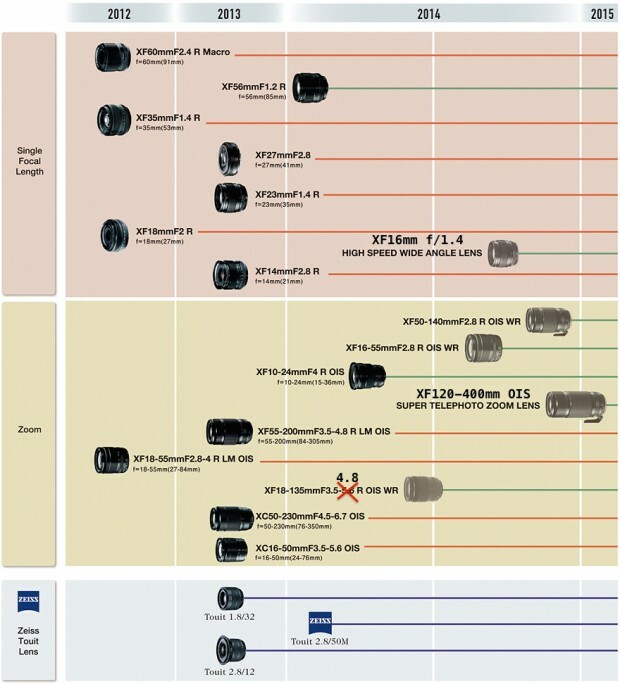 According to FR, Fujifilm will announce another new XF lens in late 2014 to early 2015, this new lens is Fujinon XF 90mm f/2.0 lens. According to a trusted source from Japan, the successor of Fujifilm X-Pro1 will have an APS-C sensor, not previous rumored full frame sensor. According to FR, Fujifilm will announce a new wide-angle X-mount in the next few months in 2014. This lens will be XF 16mm f/1.4 wide-angle lens. 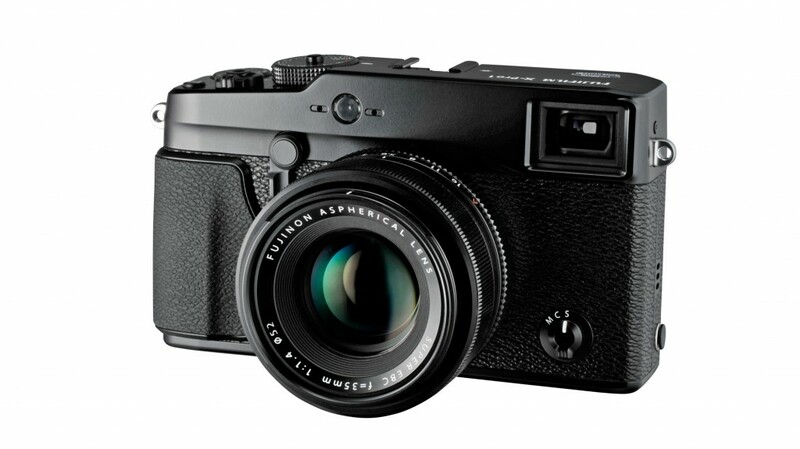 A new source from FR said that Fujifilm X-Pro2 (successor of X-Pro1) will feature a new full frame sensor. 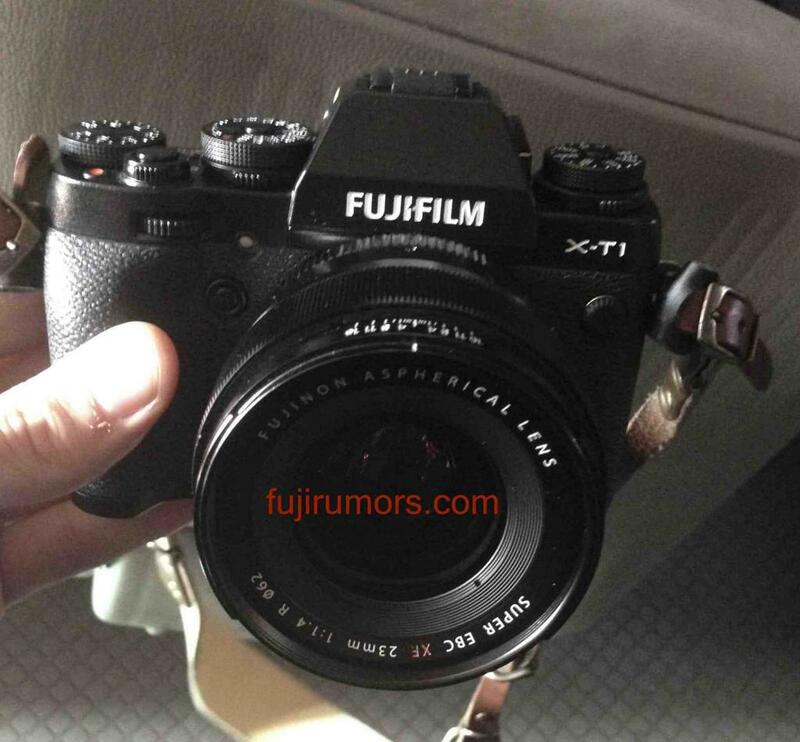 New Fujifilm X-mount Mirrorless Camera to be Announced Very Soon ! 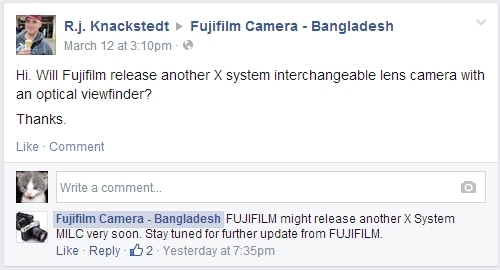 According to Fujifilm Bangladesh, Fujifilm will soon release another X-mount mirrorless camera very soon. Author CameraeggPosted on March 17, 2014 Categories Fujifilm CamerasTags Fujifilm Rumors, Fujifilm X-Pro1, Fujifilm X-Pro1 S, Fujifilm X-Pro2Leave a comment on New Fujifilm X-mount Mirrorless Camera to be Announced Very Soon ! 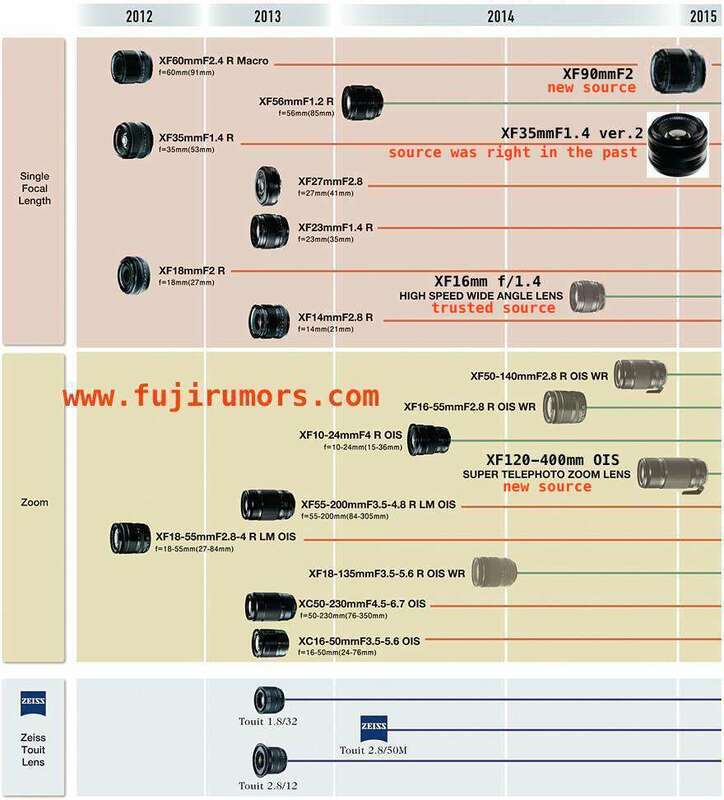 Here are more leaked images of Fuji X-T1, all real images with front view, top view, back view, side view.